Selling one of your most valuable assets is a daunting task and this is exactly what I am here to help you with. Please fill out our selling form below and we will get back to you with a comprehensive market evaluation to help you figure out how we can obtain the best possible price for your home! 63 percent of recent homebuyers, and 39 percent of purchase intenders said they visited a home they first saw on the Internet. 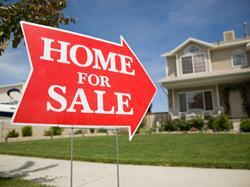 25 percent of recent home buyers said they bought a house they first saw on-line. 21 percent said they contacted a REALTOR® they first found on-line.